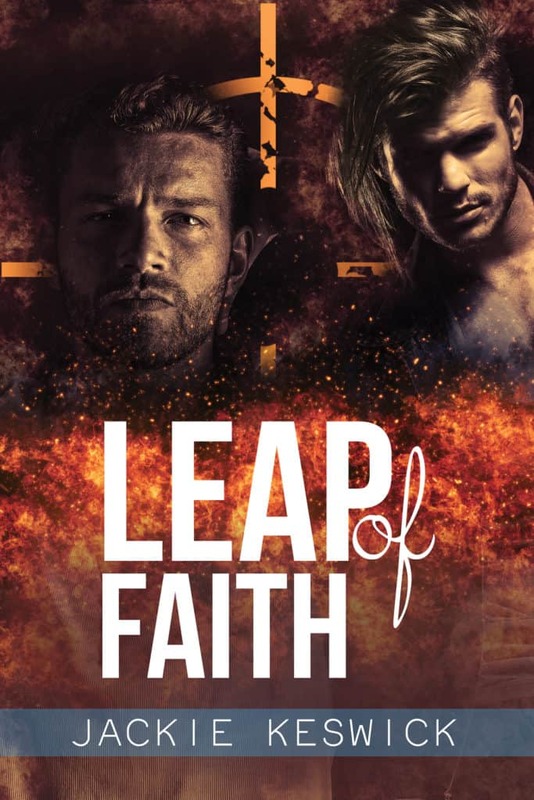 It’s a year today that Leap of Faith came out, which makes Kieran and Joel’s story an excellent topic for today’s Throwback Thursday post. That and the fact that the sequel to Leap of Faith got stuck in a plot snarl that resembles three kittens in a sack of yarn… I really need to get my head down and sort it out, so Kieran can be wholly vindicated, Joel can put his jealousy to rest, and the dishy Dr Marius can get his HEA along with Joel and Kieran getting theirs. It sounds like a tall ask when my head is full of work and general annoyances, but I’m determined to get there. And meanwhile, I’m going to motivate myself with a little look back. I remember Leap of Faith as a fun project of action scenes nailed together during breaks from the day job, and soul-searching accomplished at weekends with a glass of wine. I love a good friends-to-lovers tale and Joel and Kieran made it easy for me to write that story. It wasn’t until I had reached the end of the first draft that matters got complicated. I usually write stories set in England. Leap of Faith, though, took its inspiration from US TV shows and our extensive thriller collection. And since we had no immediate plans to travel to the US, I had to invent a fictional town to set the story. Lissand needed a harbour, where I could blow up a yacht or two, decent transport links to the rest of the country to make it a suitable place for FireWorks Security to use as a headquarters, a large-ish hospital where Dr Marius could work as a trauma surgeon, different neighbourhoods and enough countryside to give the plot some room. By the time I was done I had enough notes to build a fantasy world and I had no trouble walking through Lissand, or even directing strangers to my favourite places. So, for today’s Throwback Thursday post, I’d like to share a bit from that harbour scene. Patches of fire dotted the choppy waters of the marina like malevolent will-o’-the-wisps. They flickered and wove in the swell, a distraction to the searching eye. Kieran had tossed his Smith & Wesson at Hartnett along with his leather jacket as he sprinted toward the slipway, but then he was at the water’s edge and every other thought faded from his mind. Now he ducked under mooring lines and slipped past buoys as he struck out for the area of relatively clear water where the yacht had been berthed. Shouts and sirens sounded from shore, but he ignored the noise, just as he ignored his body heat leaching into the frigid water and the drag from his sodden jeans and boots. He scanned the broken surface as he swam, desperate to spot signs of life. His gaze skipped over irregular shapes and jagged edges, ignored char marks, colored plastic, and wood grain until he homed in on a flash of orange-and-green canvas darkened by water. Joel floated on his back among the debris, the small boy clutched tightly to his chest. The child was unconscious with a nasty-looking gash on the side of the head, but otherwise in one piece. A sleepy blink was his only answer. Then Joel’s eyes closed and his head dropped to the side. Kieran choked on panic until the rational part of his mind took over. He slipped one arm around Joel’s neck and held his head above water. The strong pulse in Joel’s jugular sent relief washing through him in a sweet, hot wave. Joel was out cold. Just out cold—not dead. Kieran kicked toward the slipway where Hartnett stood, phone to his ear. He was so intent on getting Joel and the boy to shore he almost missed the yellow inflatable, even though it was almost on top of them. Two EMTs lifted the boy into the dinghy. “Board. We need a board,” Kieran gasped. With Joel unconscious—and with no indication of how he’d gotten through the explosion—Kieran didn’t want to risk dragging him willy-nilly into the tiny boat. The EMT agreed with him. Or at least he didn’t waste time in argument. He simply lifted a walkie-talkie to his lips and relayed the request. Moments later a second inflatable detached itself from the slipway and moved toward them. Joel’s weight and their sodden clothes dragged Kieran down. He kicked his legs up to float more easily, pushed mangled chunks of plastic and wood aside, and kept Joel tight against his chest while the inflatable carrying the boy drew away. Another wave washed over them and Kieran leaned his head to shield Joel, who lay limp in his hold. His breath came steadily and he carried no visible injuries, but he didn’t react to the water splashing his face or the chilly breeze on his wet skin. “You have to stop doing this.” Kieran watched the second inflatable approach and wondered why the boat moved so slowly. Was it fighting a current? Or was he not processing at speed because of the cold? The thought roused him and he concentrated on Joel’s pulse, the beat strong under his fingers. A second explosion rocked the marina. It was close to where Kieran and Joel drifted and bigger than the first. If you haven’t met Joel and Kieran yet you can read the blurb and an excerpt here. Please, please, please!!! I so want a sequel to Leap of Faith! I think about this book often and will probably read it again. I got stuck at 41k when the story got away from me. But I will get back to it, I promise. It’d be a shame to leave all the loose ends dangling. Well I will definitely be looking out for it! Also excited about the new installment for “Power of Zero” series! So looking forward to that!